Sisters of Frida have been invited by Patrick Staff to public discussion events exploring disabled and queer identity, austerity, illness and flexibility. Particularly on Saturday 27th where we will be leading it. Since summer 2013 Staff has utilised a range of choreographic strategies in order to explore and question how bodies are presented, produced, represented and assessed within the fields of performance, healthcare, technology and labour. 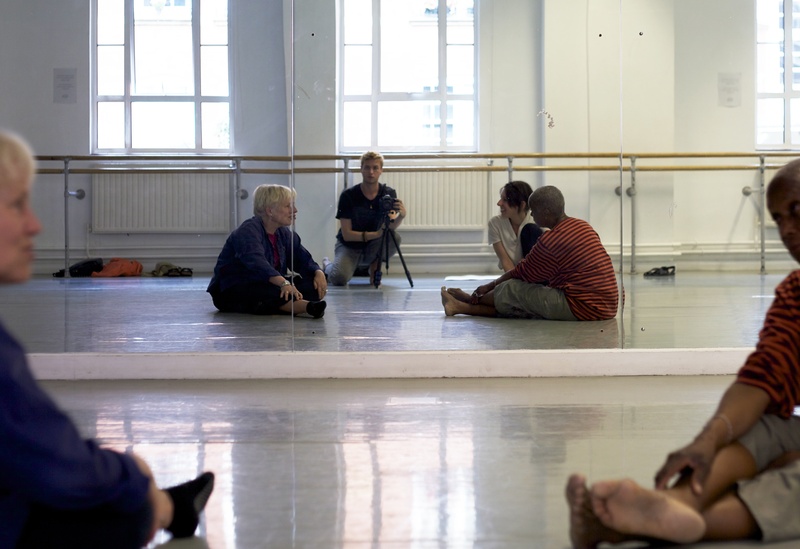 This has included research at the Trinity Laban archives; discussions with groups of practitioners, researchers and activists; and physical workshops with other artists, members of local groups such as Opening Doors London (which supports older generation lesbian, gay, bisexual and transgender people) and DreamArts (a youth performance group), as well as public participants. From 20–28 September, Staff will display a series of large format posters on the exterior of The Showroom’s building which will feature an interview between the artist and one of the project’s collaborators. A series of public discussions, led by invited practitioners, will respond to the text in relation to their own work and lives. Invited guests will include the research group Manual Labours, choreographer Hamish Macpherson, members of Opening Doors London and the disabled women’s co-operative Sisters of Frida.